ATTILIO PAVONE, graduated in Law at the Università Cattolica del Sacro Cuore of Milan, was admitted to the Lawyer Association since 1997; is also enrolled in the Albo Cassazione e Giurisdizioni Superiori in 2013. Author of several articles in the area of labor law, has partnered with D & L – Magazine about Labour Law and the Employment Law Journal. His areas of activity are labor law, agency contracts, litigation, restructuring. 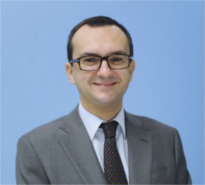 He is partner of AGI (Italian Employment Lawyers Association, www.giuslavoristi.it), Member of EELA (European Employment Lawyers Association, www.eela.org) and Member of IBA (International Bar Association, www.ibanet.org).